Are you looking out for a quick fix lunch or dinner? 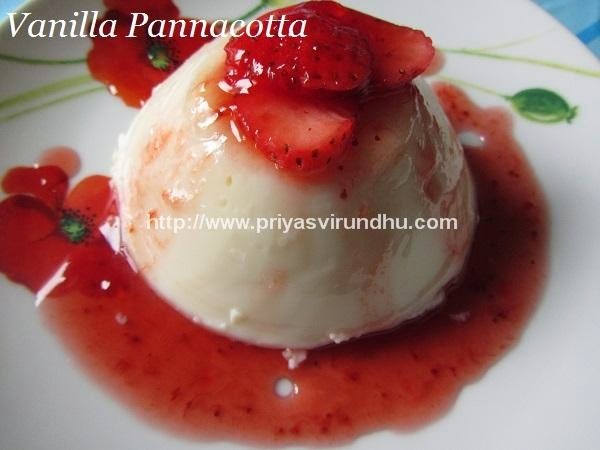 Are you bored of cooking, but still want to have something exotic. Then you have landed at the right recipe, Garlic-Buttered Pasta. You will fall in love with this dish, the moment you start making it. Do you want to know why, because it can be made in a jiffy. It is very flavourful, aromatic and the smell of butter, garlic and red chilli flakes satisfies your taste buds in no time. 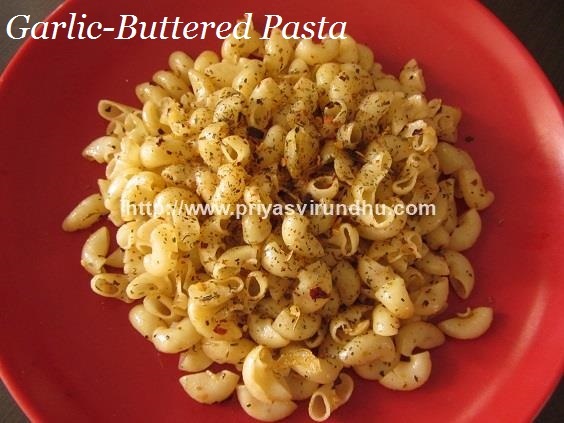 Do try out this easy Pasta recipe and post your comments here. 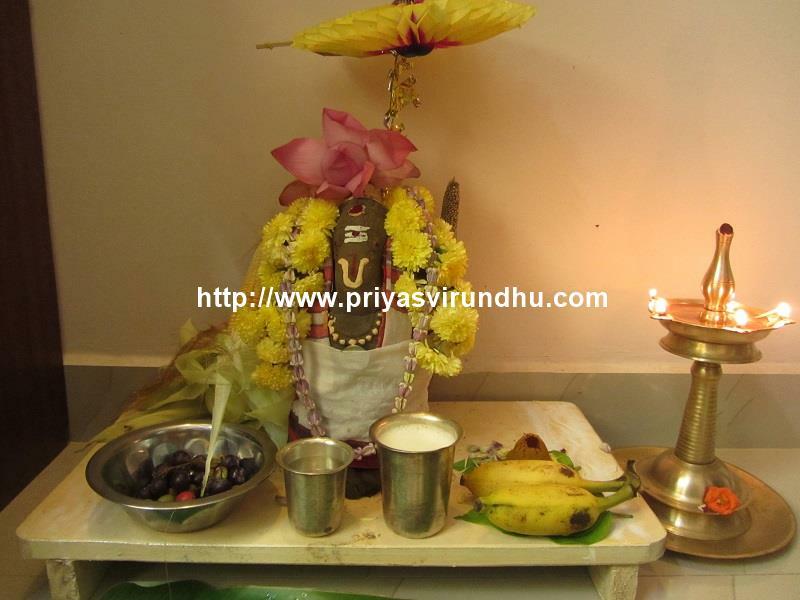 Meanwhile do check out other interesting Pasta& Noodles Recipes here. Gnocchi’s are a sort for pasta for potato lovers. They are small Italian dumplings made from potatoes, flour[all purpose flour, buck wheat flour], egg and shaped into small ovals with ridged pattern on one side. 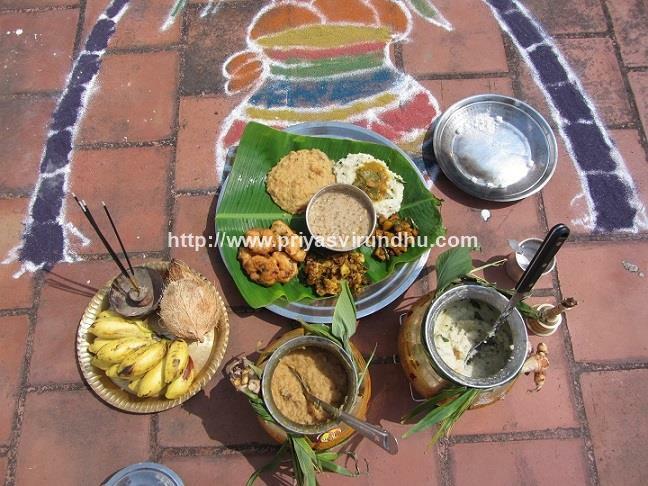 Alternatively they can also be made from semolina flour[info source:BBC]. 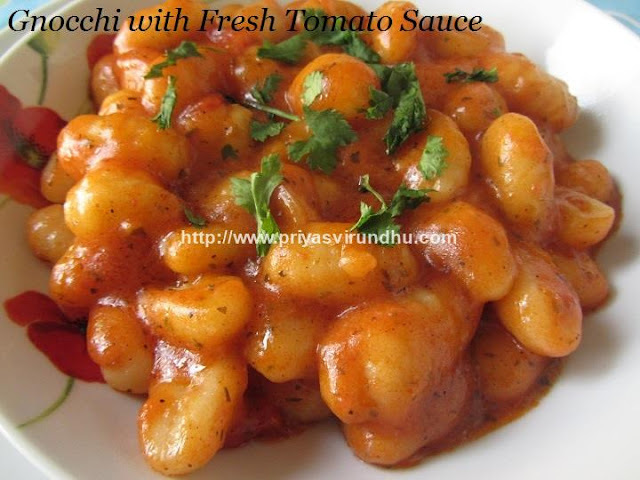 Gnocchi is eaten as an alternative to soup or salad. They are usually home-made in Italian households. But they are also available in packets in supermarkets. I have made store bought Potato Gnocchi and accompanied with fresh tomato sauce, but it can also accompanied with freshly prepared Pesto Sauce as well as various other sauces. Whenever I want to make a quick dinner, I immediately tend to make pasta. The main reason is, it is one quick wholesome meal and my kids love it. 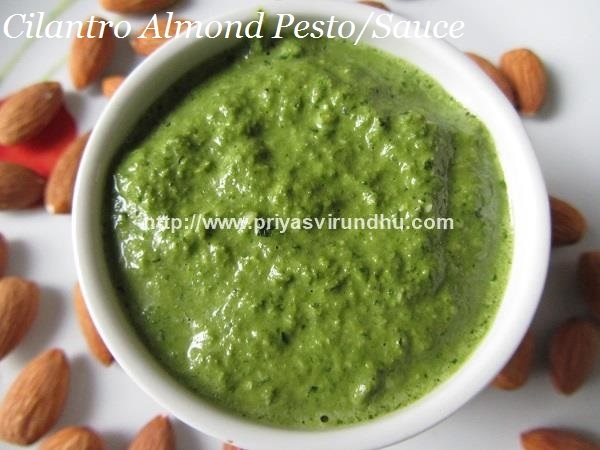 This cilantro almond pesto is a very easy to prepare but the taste is simply awesome. The almond pesto can be used as dip for any kind of breads or as spread for sandwiches. The pasta made with almond pesto is a very healthy when compared to the cheesy pastas but it still has the nutty and creamy texture because of the almonds. 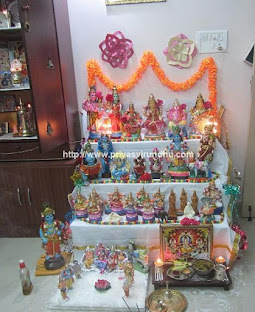 Do give it a shot friends and you will surely love it. Here’s how to make Cilantro Almond Pesto – Bow Tie Pasta with step by step photos…. 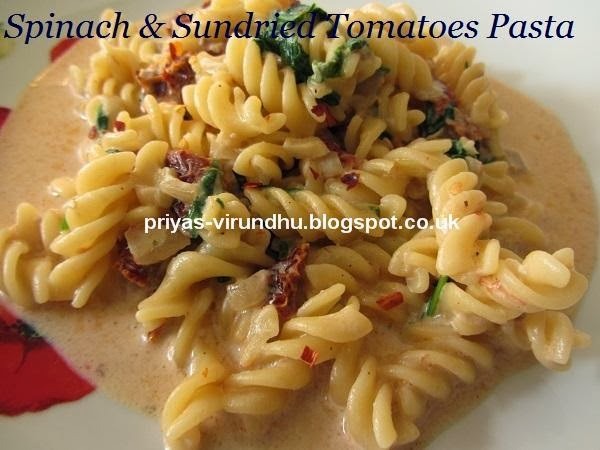 Making Pasta need not always involve cheese in it; here is another healthy, quick and filling pasta dish without any cheese or sauces. Kids love to eat pasta, but the responsibility of making it healthy lies on us. This Vegetable and Egg pasta is one such dish with no cheese or white sauce, but loaded with vegetables and rich in protein from eggs. 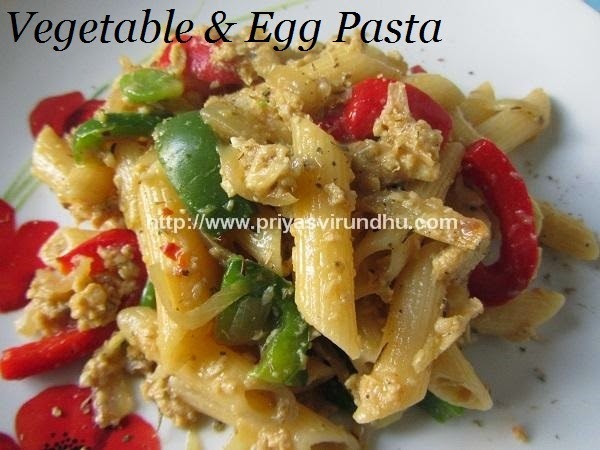 Do try out this flavourful, tempting and delicious Vegetable & Egg pasta and give your feedback. Check out other delicious Pasta varieties here. Here’s how to make Vegetable & Egg pasta with step by step photos…. 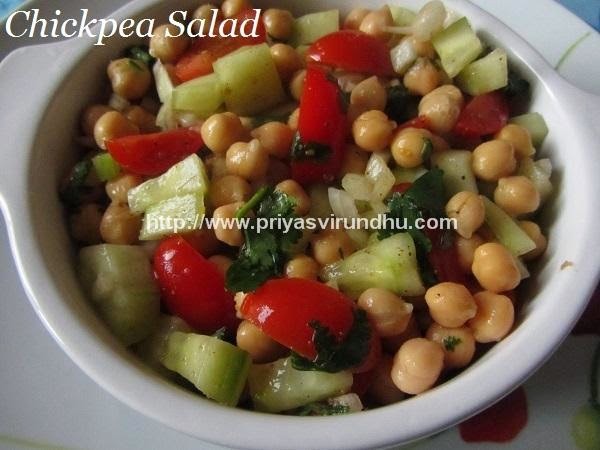 Today I am sharing a very healthy, filling, colorful and delicious chickpea salad. Check out oher interesting Salad varieties I have posted earlier in the links. “Pasta e Ceci” means “Pasta and Chickpeas” which is actually a thick soup. In Rome pasta e ceci was traditionally eaten during lent (40 days before Easter) on Fridays, when the Catholic Church discouraged eating meat. Pasta e Ceci is found throughout Italy, the one food I could find in most of the menus when we visited Italy. But the pasta e ceci had the anchovies fillets added to it, but I have made a vegetarian version of Pasta e Ceci and added a little bit of Indian spices for added kick. 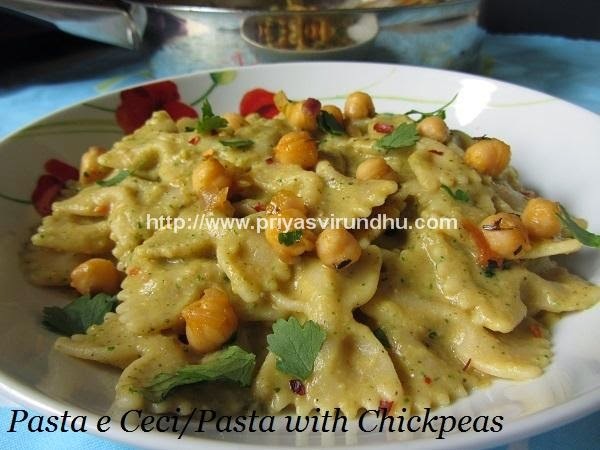 Do try this pasta with chickpeas friends, you will surely find it interesting and stunning. 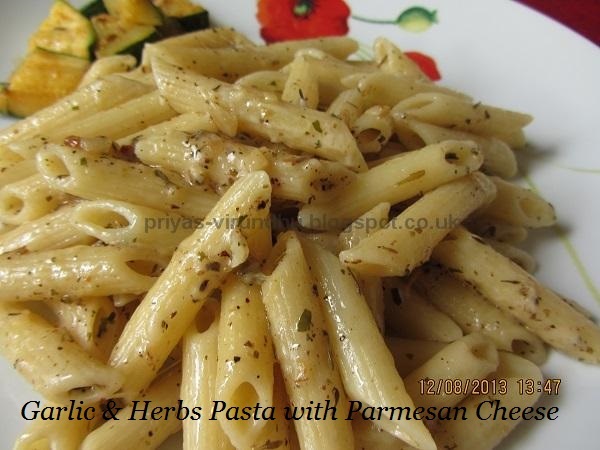 Here’s how to make Pasta e Ceci with step by step photos…. As we all know that Pasta is a staple food of traditional Italian cuisine. Pasta is made from durum wheat flour mixed with water and formed into sheets or various shapes, then cooked and served in different forms and varieties. As far as the pasta bake is concerned the amount of pasta sauce added is more and slight twist is given by adding a layer of cheese on top and baked just before serving. Another twist that can be given to the pasta bake is you can add any leftover steamed or grilled vegetables, sauces etc. 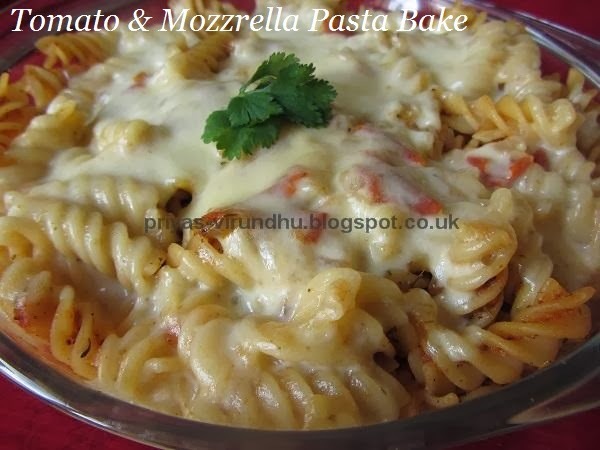 Here is how to make Tomato & Mozzarella Cheese Pasta Bake with step by step photos. Today I was in no mood to do an elaborate cooking, so made a very quick and simple garlic and herbs penne pasta with parmesan cheese. 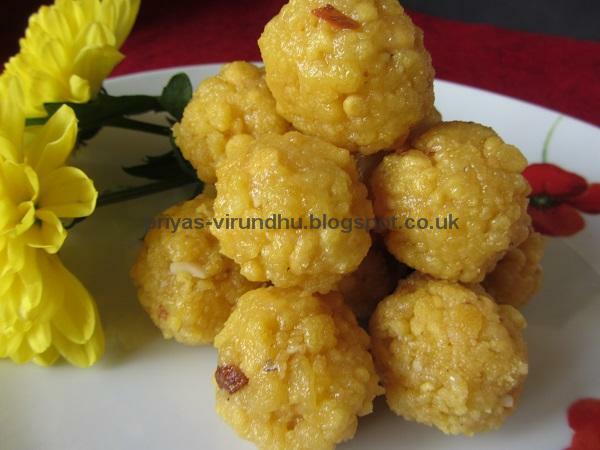 Actually the name says it all; it can be made in no time with very less ingredients. I made this pasta and served them with fresh zucchini stir fry. It was an elegant and heavenly Italian lunch which just made our day. My kids love pasta and they got excited and finished them all. 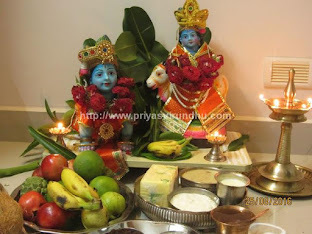 I am happy to say that I am part of Home Bakers Challenge started by some of the fellow blogger and initiated by Priya's Versatile . The objective of this challenge is to learn and bake together.A special thanks to Divya for choosing Pizza for this month’s baking challenge. I know probably I am the last one to come up with pizza in the Home bakers challenge, but I believe "better late than never". My pizza is getting ready, meanwhile decided to post the pizza sauce. 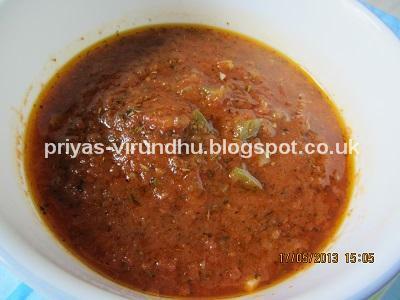 This is a very basic Pizza/Pasta sauce, I made this as a part of Home Baker's Challenge initiated by Mrs.Priya Suresh and this month host being Mrs.Divya Prakash. The original recipe did not call for all ingredients given below, I added a little more to give it little more flavor and taste.